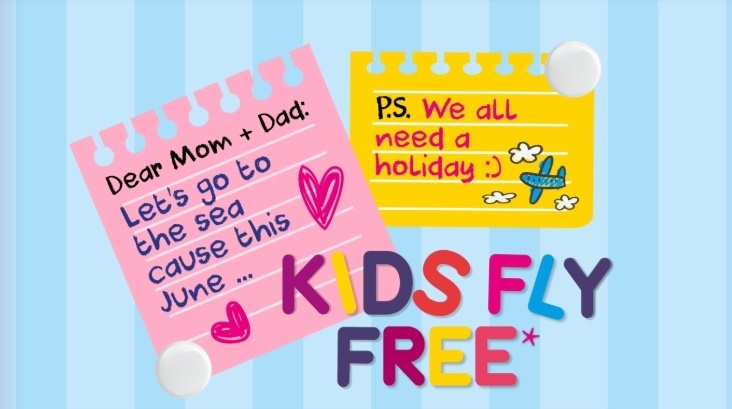 With the upcoming school holidays, FlySafair is offering free flights for kids under the age of 12. Bookings must be made between Monday and Friday for flights in June. But there is a catch: airport taxes. After selling 30,000 tickets for R4 each last week, FlySafair this week launched a free-flights promotion for children under the age of 12 during the June school holidays. But while the R4 tickets were genuinely R4 each, the "free" kids flights aren't quite. The flights can be for any time between 1 June and 30 June, including the school holidays. Bookings must be made before 5PM on Friday. "Because June is youth month, we are inspired to encourage parents to get their kids onto an aircraft," says Flysafair's head of sales and distribution, Kirby Gordon. But there is a catch. Parents are still liable for the children's airport taxes and other extras such as checked luggage. That means each kids seat comes at a cost. According to Gordon taxes may differ per airport but come in at approximately R127 a flight. That can still make for a great deal on many routes, however. 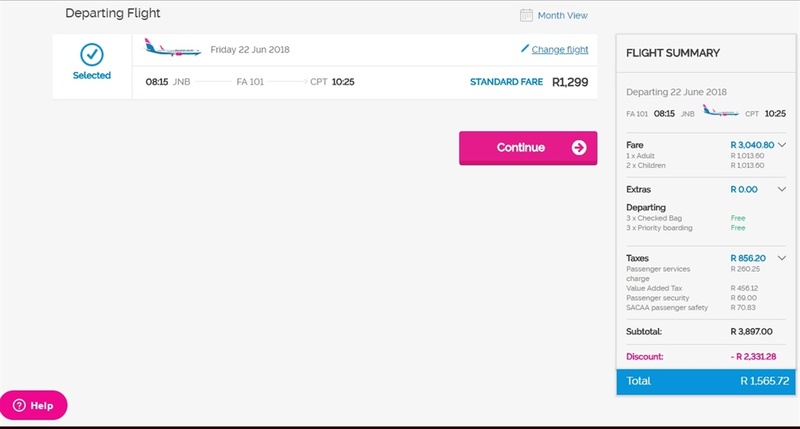 Business Insider South Africa made a booking with two minor children from Johannesburg to Cape Town for 23 June, which came at an effective R2,331.28 discount. Each booking must have an adult and a maximum of three children to qualify. Each infant under two must be accompanied by an adult.